AudioFile Magazine reviewers and editors tap “play” on scads of audiobooks every day, looking for blow-you-away narration and standout production. AudioFile is the country’s oldest independent source of audiobook reviews and exclusive audiobook information, including narrator interviews and videos, blogs, and our Behind the Mic podcast. We’re excited to partner with Novel Suspects to make it easy for you to find your next audiobook. Here are our picks for three new do-not-miss mystery titles, plus three older listen-alikes that will keep you glued to your earbuds. Happy Listening! Lauren Fortgang gives a supple and quietly dazzling performance of this gripping high-stakes family drama set in the world of competitive gymnastics. A family will do anything for their hugely talented gymnast-daughter, until an apparent hit-and-run accident shifts everyone’s perspective. The hidden costs of ambition and the messiness of parent-child relationships are addictively rendered in this edgy audiobook. Read the AudioFile review and listen to the sound clip. Discover more great audiobook recommendations on AudioFileMagazine.com, follow AudioFile on Twitter and Facebook, and listen to the Behind the Mic with AudioFile Magazine podcast. Two of the best suspense novelists working today, one lively conversation–what more could you ask for? Goodreads was kind enough to let us excerpt a portion of Gillian Flynn and Megan Abbott’s chat, more of which can be found here. And don’t miss Flynn’s GONE GIRL and Abbott’s DARE ME, both now in bookstores everywhere! Megan Abbott: A couple years back we realized we both had been strongly influenced by watching, as kids in the 1980s, true-crime TV movies (the Golden Age for these kinds of movies). Do you have a favorite or two? 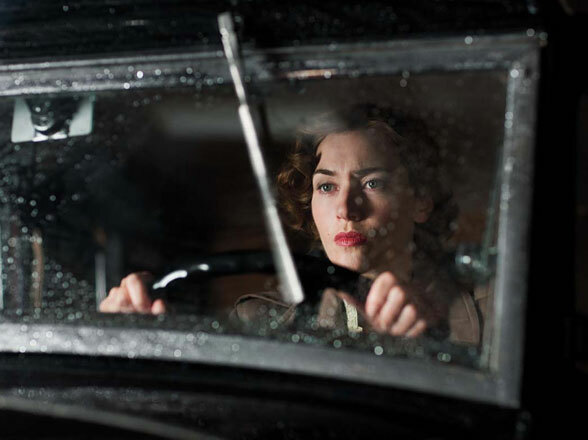 Gillian Flynn: Oh, sweet, sweet movies of the week. My all-time favorite (as in, I own it and watch it once a year or so) is A Woman Scorned: The Betty Broderick Story, a 1992 TV movie starring the sublime Meredith Baxter. It’s based on a real case: Betty Broderick, a wealthy Southern California housewife, began spiraling out of control when her influential lawyer husband left her (after she helped put him through law school and med school). She ultimately shot both her ex and his new wife while they were sleeping. The case is much more nuanced than these basic outlines, but let me say that it intrigues me because it’s about a relationship gone very toxic, escalating animosities, the perils of attaching one’s identity to someone else, and the dangers of righteousness. The movie is legitimately great—Baxter is fascinating. If you want to read about the case, check out Bella Stumbo’s true-crime book, Until the 12th of Never. It’s stunning. That’s my long answer: And you, Megan? Your favorite, legitimately good, and your favorite guilty pleasure TV movie? Gillian, what was that one with Hillary Swank we both had watched? GF: Dying to Belong! Hilary Swank’s friend joins a sorority, is hazed by the evil queen bee (Scrubs’s Sarah Chalke) and mysteriously falls to her death from a clock tower. Hilary investigates. I remember girls writing mean things on freshmen pledges with magic marker (am I making this up?) and also Hilary Swank and Mark-Paul Gosselaar riding a lot of bikes to the tune of Sophie B. Hawkins’ “Damn, I Wish I Was Your Lover.” This is starting to sound like a fever dream. MA: Oh gosh, that’s totally right. They markered all over their body parts, telling them where they were too flabby. I never forgot that. If it’s a fever dream, it’s one that returns, like malaria! Did that line come to you as you were writing, or was that a guiding theme early on of DARE ME? MA: It came to me as I was writing, though originally it was buried later in the book. It kept sticking in my head, so I knew I had to move it forward. I wonder with you about the notion of the “Cool Girl,” which is one of the most memorable passages in Gone Girl. (It begins: ““Men always say that as the defining compliment, don’t they? She’s a cool girl. Being the Cool Girl means I am a hot, brilliant, funny woman who adores football, poker, dirty jokes, and burping…” and is quoted in full here. Was that an early idea? When I read it, I nearly gasped it was so perfect, so incisive. GF: I actually had a lot of trouble getting Amy’s voice and nailing her down. In the final version, she writes quizzes for women’s magazines for a living, but originally I had her as a columnist. So to figure her out more, I wrote a lot of her columns in her voice—just as an exercise. But that one I liked so much I couldn’t bear to get rid of it, so I worked it into the book. Reader Question:: It seems like the “evil” female keeps cropping up this summer. Before I read Gone Girl, I happened upon Serena by Ron Rash. Now that’s an evil anti-hero(ine). I keep hearing selfish women in my music as well. Could this be a manifestation of frustrated feminists, not satisfied with women’s true roles? Serena is a beautiful, haunting novel, isn’t it? Fear any woman who has a pet eagle. I like to write about evil women because I think truly frightening women are under-represented in literature. Not campy villainesses but truly dangerous, evil-minded women. For me, I suppose it is in a way a feminist statement: I get weary of the idea that women are naturally good and nurturing. I think women struggle with evil as mightily as men do. I don’t want that struggle to be dismissed. I want credit for it! MA: Evil is such a subjective word. I admit I never really think of any of my characters (or yours) as “evil.” One of the things I find so compelling about good crime fiction is it shows the complexities behind people behaving badly. That actions may be destructive or even cruel but as the book unfolds the picture gets more complicated. What do you think? Like this conversation? Read it in its entirety on Goodreads.com. I seem to be on a cycle in which I finish books in early summer for a late fall release. It happened again this year – much, I’m sure, to my editor’s frustration. I’ve just finished up my next novel The Black Box, blowing all kinds of deadlines in the process. The frustrating part for my editor and copyeditor is that the longer I take, the less time they have to work their magic and make the book better. But I have no worry this year or any year. The team that works on these books is the best and the book is in very good hands. What’s been nice for me is that it turns summer into a real vacation for me. I don’t want to start my next book, even though I am thinking about it all the time, until all the editing and polishing of The Black Box is finished. That gives me time to catch up on books and movies and other projects. So then, here is an update on how I spent my summer vacation. First, reading list. Most people think that because I write books that I must be reading books all the time. Not true. On one hand, you have to always be reading. It refills the tank, stimulates ideas and inspires. It’s important. The only problem is it can be intrusive to your own work. So when I am writing I am usually reading sparingly. I am lucky in that I get sent a lot of books to read. I look them over and put the one I want to read to the side for later. That is, if I can wait. Sometimes I can’t wait to jump on a book as soon as I pick it up at the store or it comes in the mail. Megan Abbott is the Edgar Award-winning author of five previous novels. She received her Ph.D. in English and American literature from New York University and has taught literature, writing, and film studies at New York University, the New School, and the State University of New York at Oswego. She lives in New York City. 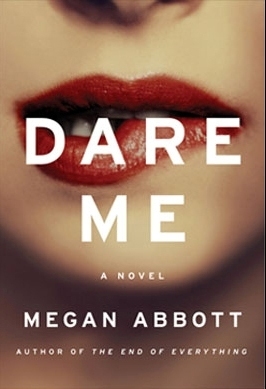 Dare Me, which Rosamund Lipton calls “arresting, original and unputdownable,” is coming from Reagan Arthur Books in July 2012. Posted in Guest PostsTagged Dare Me, Megan Abbott, New York Times, rebuttal, spoiler, spoiler alert, Stanley FishLeave a Comment on What Happens Next? I have always been drawn to “suburban novels,” the tortured domesticity of Richard Yates’s Revolutionary Road and the sophisticated roundelays of John Updike. But the dominant pop cultural narrative of the suburbs mostly falls under one of two categories. First, there are those broad satires of conformity and complacency, where suburbs are little more than bland cul de sacs, the dull thump of SUVs over poured concrete, whole communities ruled by carpooling and quiet dread. And, more recently, we have seen a string of irony-leaded tales of suburban misery curdled into degeneracy—drug-dealing soccer moms, murderous housewives, satanic cults. Consuming these narratives, it seems hard to imagine the suburbs as places where real people live, with their own histories, their own still-potent dreams. As a result, one of my pleasures in reading Jeffrey Eugenides’ 1993 The Virgin Suicides was because it cast true magic over the suburbs. And it meant all the more to me because it’s set in my own home town (and Eugenides’s), Grosse Pointe, Michigan. With its placid, Tudor-lined streets, boats clanking on Lake St. Clair, block after block of canopying red maples and pin oaks, it is place for which the term “balmy suburb” seems to be invented. When I was growing up, my parents, both East Coast transplants, always joked that Grosse Pointe feels, in many ways, perennially 1954. Changeless, pristine, inert. When I first read Eugenides’s novel at age 22, I couldn’t imagine how he could find so much dreamy sorrow in the place I had been so eager to flee for the tumult of New York City. I assured myself that it was in fact the dreamy sorrow of adolescence he had captured. That the book could in fact be set in anywhere. We are the least reliable narrators of the places we grew up and it’s taken me nearly 20 years to write about my hometown. But now, all these years later, I can finally access Grosse Pointe in a different way. My new novel, The End of Everything, the story of a 13-year-old girl whose best friend disappears, is set in a Grosse Pointe facsimile. Writing it, I came to feel that the stillness I’d once thought of as stasis was precisely the quality that made the big moments of life, when they come, seem larger, bigger, more shocking and more moving. The more I wrote, the more I was able to telescope back, prior to my teen years of bored frustration with the suburbs, back when it was a wooded place of inscrutability and wonder. We asked all the contributors to LA Noire: The Collected Stories to tell us their thoughts on why Los Angeles is so associated with noir. 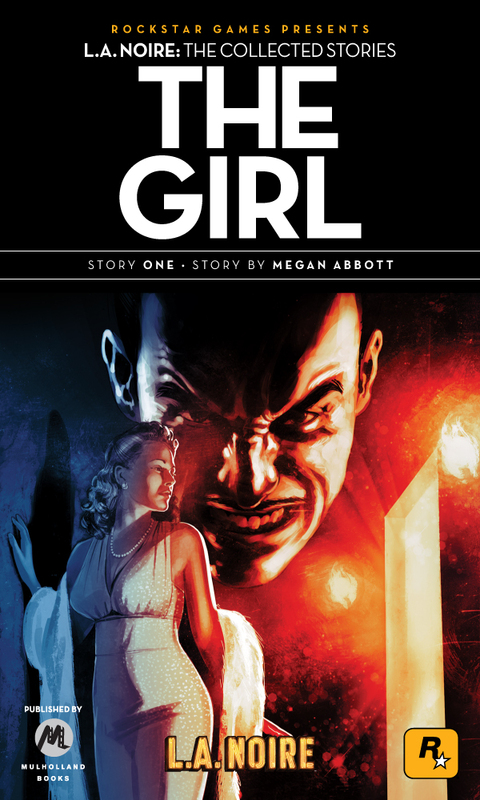 Read Megan Abbott’s story “The Girl” in LA Noire: The Collected Stories. Noir in both fiction and film has taken rich advantage of cities like San Francisco (Hammett) and New York (Spillane, Himes). No city—or region—truly owns noir, which is a mood, a feeling, a set of universal principles (no sin goes unpaid for; desire will doom you). But, for me any many others, its deepest roots lie in the lush turf of Los Angeles. No other place evokes, with such extremity, noir’s foundational opposition: that there are two worlds, the world of daytime—of family, respectability, business, progress—and night—of crime, corruption, danger. In his book City of Quartz, Mike Davis terms this opposition “sunshine vs. noir,” capitalist utopia and urban nightmare, land of “milk and honey” and city of “seduction and defeat.” And, maybe most of all, no other city has Hollywood. From Sunset Boulevard to L.A. Confidential to L.A. Noire itself, noir offers up countless tales of failed starlets and shattered dreams. Not a physical location, not even an industry, Hollywood stands as a bright symbol of limitless promise that gives way to decadence and ruin. Los Angeles is, by geographic fate, the dropping-off of the American frontier. Manifest Destiny at its endpoint. You reach your dream here or you’ve lost it forever. Raymond Chandler, L.A. noir’s founding father, once said, “I have lived my life on the edge of nothing.” The edge of nothing: that is where Los Angeles sits, precarious, beautiful—a femme fatale waiting for her kiss. Megan Abbott is the Edgar-award winning author of five novels. She has taught literature, writing, and film at New York University, the New School and the State University of New York at Oswego. She received her Ph.D. in English and American literature from New York University in 2000. She lives in New York City. Her new novel The End of Everything will be published in July 2011. Start reading on Facebook and follow Megan on Twitter.